On July 20 Canadian families started receiving the increased Universal Child Care Benefit (UCCB) created by our Conservative government. For children to age 6 the increase was from $100 to $160 per month and for the first time families with children between 6 and 17 will receive $60 per child, per month. Now every family with children receives the UCCB. The UCCB is based on the core Conservative belief that parents, not governments, make the best childcare choices for their children. It’s also based on the Conservative belief that all families deserve support, not just those arbitrarily selected by government. I strongly support these universal child benefits and childcare choices for families. Some parents will use the UCC B to help pay for daycare. Others may share it with members of their extended family who help with child care. And for some parents, it will make it financially easier to stay home with their kids, especially pre-schoolers. I’m proud to be a candidate for a Conservative party that has made all these childcare choices more affordable for parents. The other major parties have much different plans for child care. They reflect the different core values of those parties. The Liberals would scrap the Universal Child Care Benefit and replace it with a new program that would help some families and ignore others. They would also scrap income splitting for families with children, another great tax break created by our Conservative government. The Liberal version of choice means government decides who gets help and who gets nothing, and they would scrap tax breaks that are helping all families with children make ends meet. The NDP plan for child care is even worse. They are proposing a massive new taxpayer-subsidized national daycare system. This expensive, centrally managed, government-run program would offer even less choice than the Liberal plan. The NDP thinks government should control child care, and if you want any help, your only choice is to agree with them. It reflects their core belief that bigger government knows best. Canadians face a clear choice in the October 19 federal election. The NDP and the Liberals would take Canada back to the days of higher taxes and fewer child care choices for families. 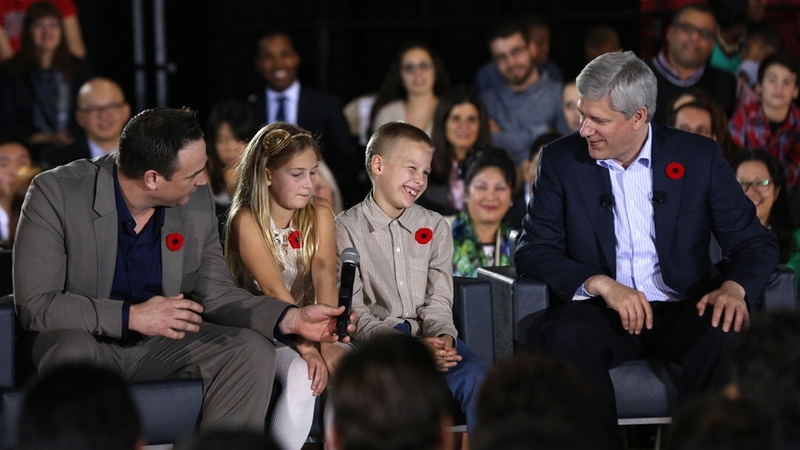 A Conservative government will continue delivering lower taxes and more child care choices for you and your family. If that is your choice, on October 19th please vote for me as your new Member of Parliament for Edmonton-Strathcona, or the Conservative candidate in your riding.